We are your partner in creating solutions that reinforce your commitment to compliance and ethics. We use a cross-functional approach to provide you with exceptional results. Our experienced team includes Certified Compliance and Ethics Professionals (CCEP), writers, editors, and graphic designers. Eric Morehead, our principal consultant and host of the Compliance Beat Podcast, has over 15 years of diverse experience working with organizations seeking to address compliance issues and build effective programs. From representing companies facing criminal or regulatory sanctions to leading Advisory Services for NYSE Governance Services, Eric has counseled organizations through difficult transitions as well as proactive program development. A former Assistant General Counsel of the U.S. Sentencing Commission, Eric chaired the policy team that amended the Guideline standards for an effective compliance program. 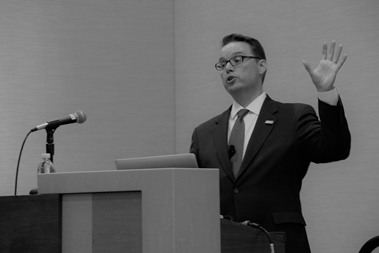 As a thought leader in his field, Eric is a writer and much sought-after speaker at compliance and ethics events. Eric will be speaking on "Expectations of the DOJ" at the SCCE's Boston Regional Conference. You can register here.